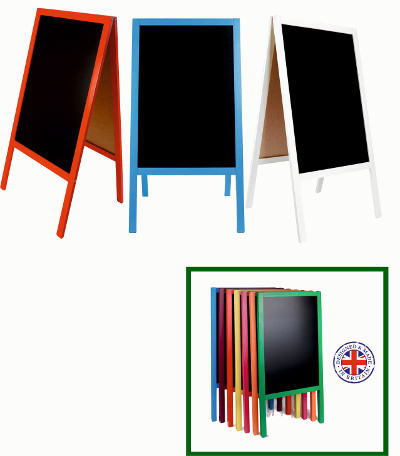 Stand out from the crowd with our vibrant colourful Wooden A Boards with steel hinges and brass chain. 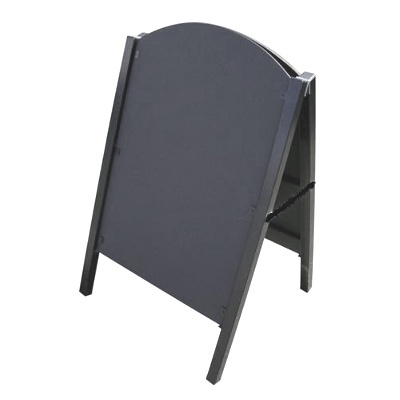 Pavement A Board sign with curved header panel and magnetic covers to hold posters. 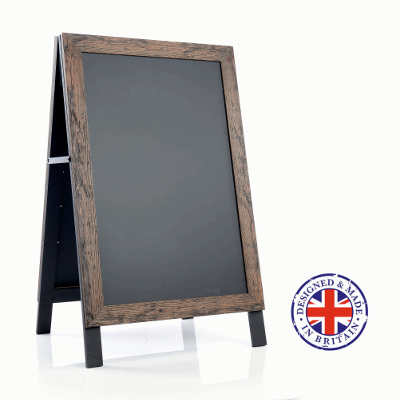 Can be used to display graphics. 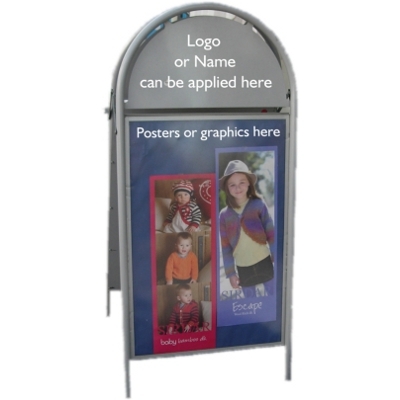 Please contact us for prices to apply your graphics and posters. 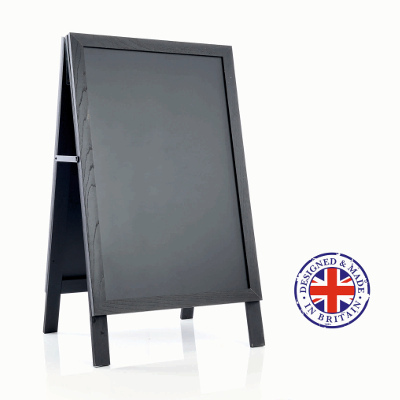 Display Area 420mm x 594mm. Black and White frames only. Black, White and Grey frames available.